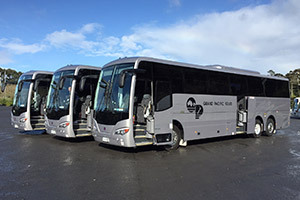 These amazing coaches in our new livery inside and out, and turning heads and getting rave reviews. 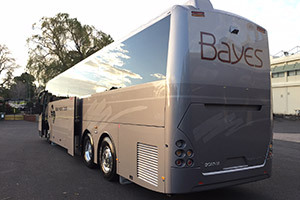 Built on the latest Scania K400 chassis with CoachDesigns premium body, these are the best on the roads. 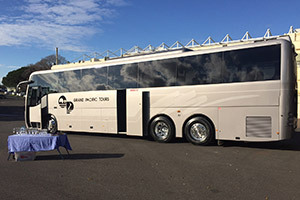 The latest in touring quality and safety, with electronic suspension and braking, along with euro 5 emissions, amazingly comfortable seats, and big windows - they are a dream for touring in, there is no better way to see this stunning country. 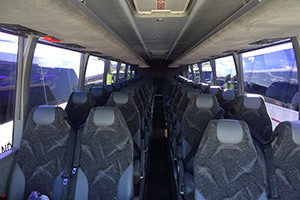 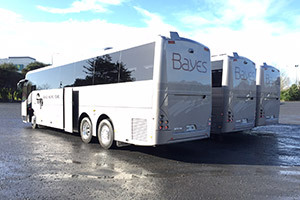 The 49 passenger seats (plus a Tour manager seat) are all fully seat belted and reclining with huge leg space between them, and with phone/device charging stations, on board toilet and fridge, USB and HDMI inputs to the coach entertainment system with 3 screens and climate controlled air-conditioning - all there is for you to do is sit back and relax.